Poor biomechanics can lead to foot stress fractures. The biomechanical forces occurring at heel strike, mid stance and toe off phase of gait can create mechanical instability within the forefoot. The resulting stress can lead to fracture. 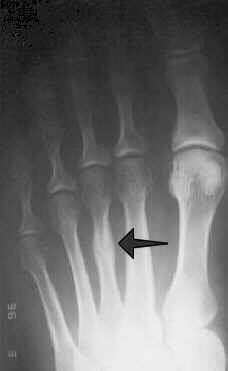 Stress fractures are most likely to occur in over pronators and athletes with a rigid (under pronating) foot type.